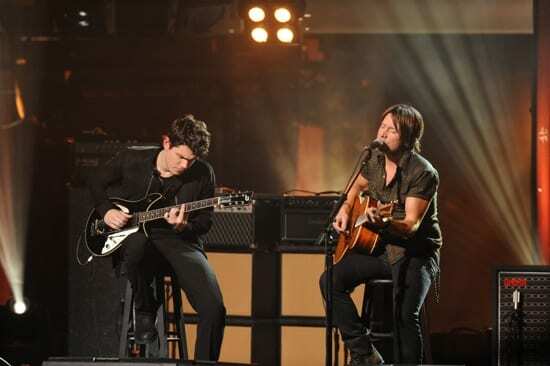 John Mayer and Keith Urban on "CMT Crossroads." The collaboration of Mayer and Urban marks the first time artists have returned to the CMT Crossroads stage since the series launched in January 2002. Urban and John Fogerty were featured in a 2005 edition, and Mayer paired with Brad Paisley for an episode that premiered in 2004. 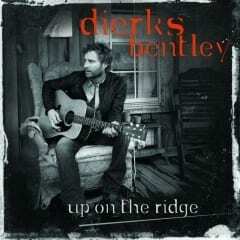 Dierks Bentley will debut the lead and title track from his forthcoming bluegrass-influenced album Up On The Ridge tonight (4/27) on the Tonight Show with Jay Leno. The song, written by Bentley and Angelo Petraglia, features Petraglia on acoustic guitar, Sam Bush on mandolin and background vocals by Alison Krauss. Early reviews of the album due June 8 are stellar. MusicRow’s Robert Oermann called it “the first masterpiece country album of 2010.” Get a short video preview of the project here. Bentley kicked off his Up On The Ridge tour of 24 shows in 30 days this past weekend with sold out crowds in Portland, OR; Boulder, CO; Colorado Springs, CO; and Austin, TX. The run continues through May 22 with a final show at Nashville’s historic Ryman Auditorium.